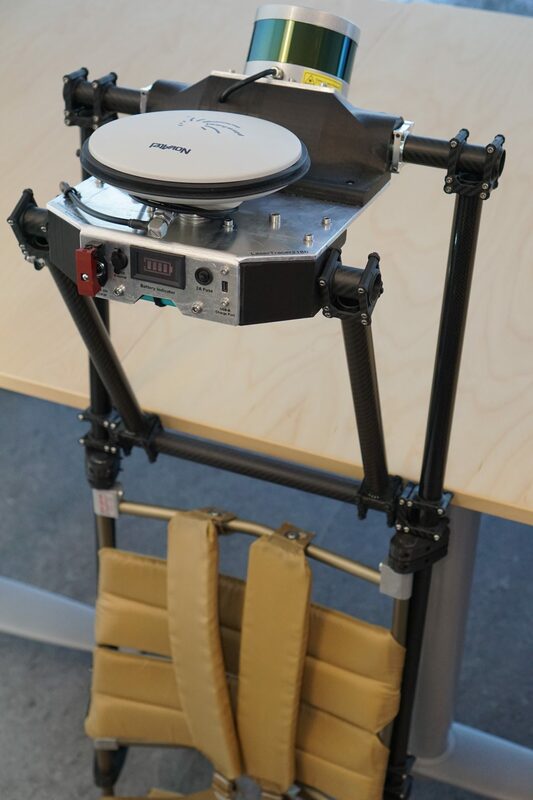 In the spring 2019 we revised the system to be more portable and easy to transport. 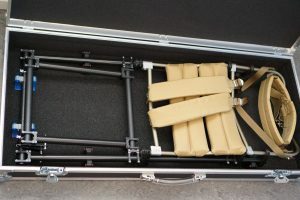 The system can now easily be transported in hard case boxes. The portable system with a Novatel SPAN-IGM-S1 with a Velodyne VLP-16 LiDAR. The system mounted on the backpack frame. 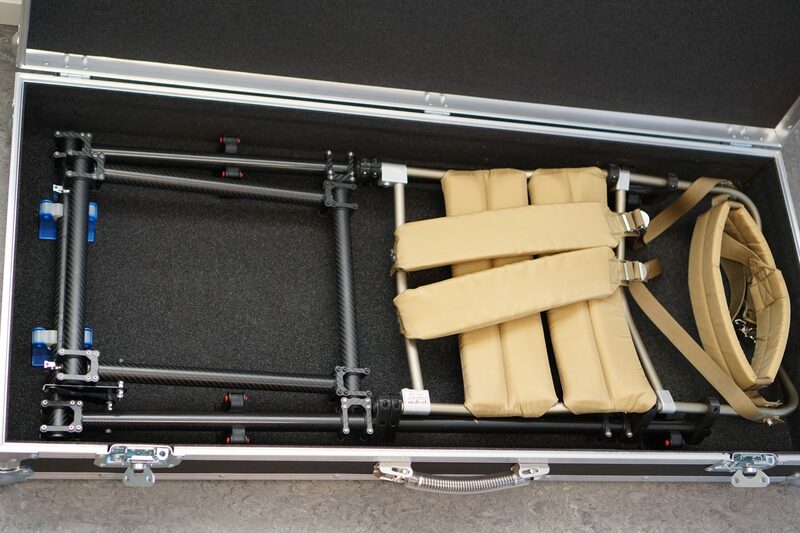 The case for the backpack frame. 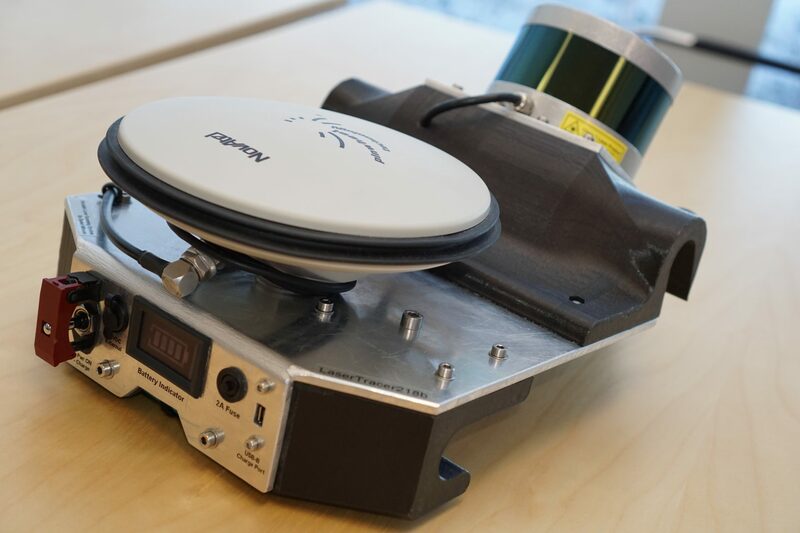 The case for the scanner and INS/GNSS. In the autumn 2017, a DBT-course project continued to develop the system and integrated a camera in the system. 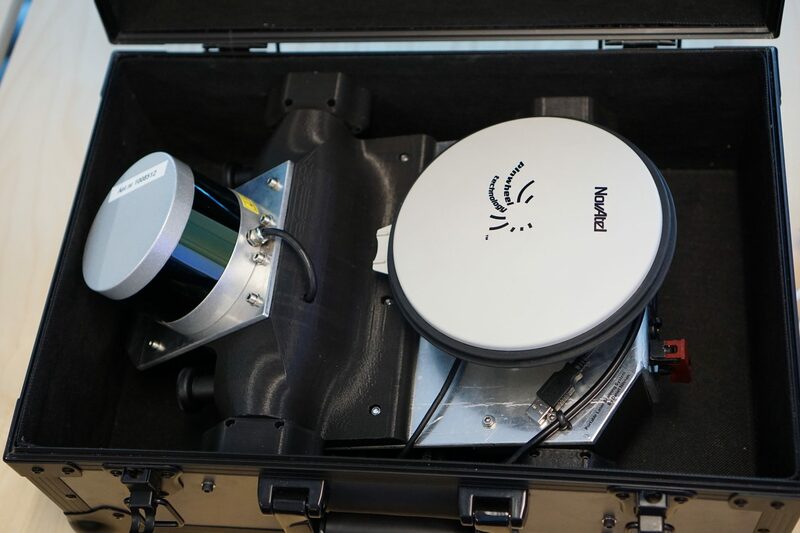 They developed the system to automatically detect trees and determine the species by fusion of laser scanner data and camera images. The students used deep learning for species determination. 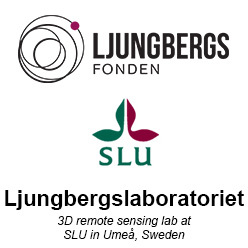 In the spring 2017, Mattias Tjernqvist, conducted his master thesis in the Ljungberg laboratory. 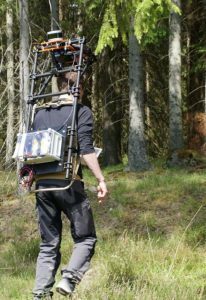 He continued the work from the DBT-course in the autumn and mounted a LiDAR on the backpack. An early version of the system. Photo from 2017.